Group Discussion Ideas > Ethical GD Topics > Experimenting on Animals – Is it fair? There are some diseases for which cure isn’t invented yet. To end people’s suffering, new drugs need to be invented. Newly made drugs cannot be experimented directly on human beings, because the effects are not known. So, scientists experiment these drugs on animals to check whether it is safe to test them on humans or not. 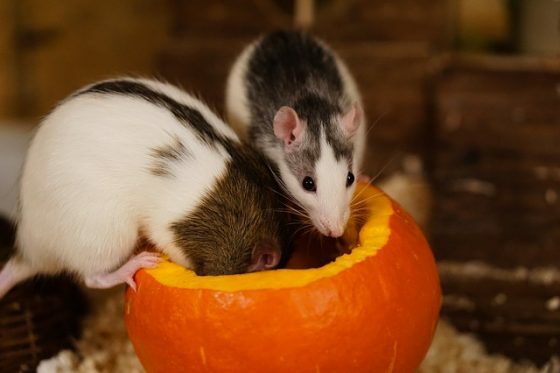 Mice and rats have similar genetics as humans. So, mice and rats are the most used species in medical research. Some cosmetics are being tested on animals. But India and some other countries have banned the sale of any cosmetics or cosmetics ingredients that have been tested on animals. Many human lives can be saved by carrying out experiments on animals beforehand. Organ transplantation, polio vaccine and many other medical inventions were developed by testing on animals. There are no viable alternatives to experimenting on animals yet. There are some alternatives like computer models, cell culture method, but they are not providing results that animal research provide. Suffering faced by animals is justified by the immense benefits to humankind. Animal research has contributed to 70 per cent of Nobel prizes for physiology and medicine. Without animal research, many medical inventions wouldn’t be implemented successfully. Now, scientists are trying to grow human organs in pigs. If this is successful, the problem of shortage of donor organs can be solved. The drugs invented through research on animals are also being used for animals’ benefit, because animals too suffer from diseases like humans. It is unethical to suffer animals for the sake of humans. We have no right to suffer animals, even though there are benefits for us. Some animals suffer severe pain and even death in laboratories. Tests can be done on human volunteers with their consent. But tests are forced to take tests with no choice. Even after the experiment is over, many animals that were tested upon are having low quality of life. Till the successful alternatives are developed, using animals in medical research is inevitable. But care should be taken to minimize animals’ suffering in the process and the research needs to be carried out in the most humane way possible. And the usage of animals should be allowed only in medical research and not for any other purposes. Afterwords :- Do you think experimenting new drugs on animals is ethical? Express your views in the comment section below. this site was very useful i have learned many group discussions on this site thank you my friends love you all………………………………………………………..